METAIRIE, La. 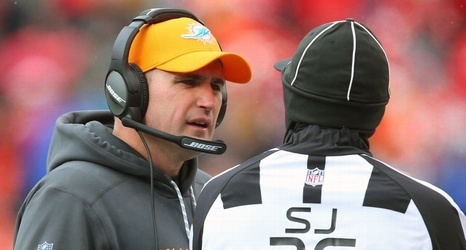 -- The New Orleans Saints completed an overhaul of their special teams coaching staff on Monday by announcing they hired former Miami Dolphins coordinator Darren Rizzi. Rizzi, 48, had lasted with three different head coaches during an impressive 10-year run in Miami. And he interviewed for the Dolphins' head coaching job last month before they decided to hire Brian Flores instead. The Saints, meanwhile, decided to move on from their trio of special teams coaches -- veteran guru Mike Westhoff, Bradford Banta and Kevin O'Dea -- despite their improvement in many special teams areas after they coaxed Westhoff out of retirement as a midseason replacement in 2017.